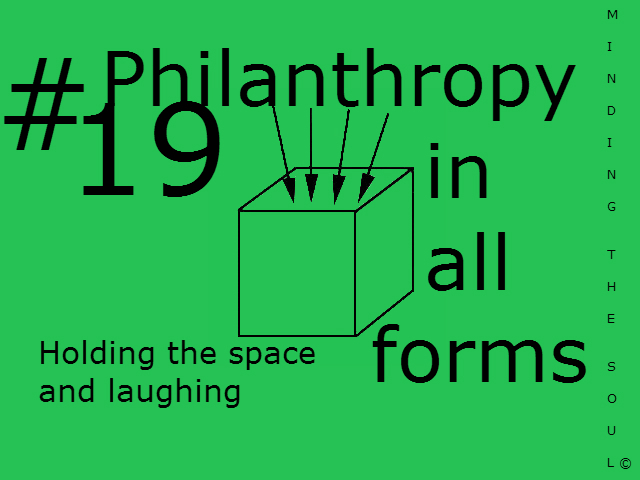 In today’s society Philanthropy has come to be associated with donations of money by the rich to charities. Philanthropy however can be the gift of anything by anyone to anybody. The gift of giving is one of the greatest things we can do for anyone. Some of the greatest gifts we can give are our support, breathing space, laughter or even just a hug. Giving people comfort, support and the space to recuperate give people the ability and the strength to live their lives as they are meant to. If this is in your Soul Plan you may be especially good at giving these gifts. If it is a challenge for you however you may need to give yourself the gifts. Give yourself space to recover and grow free from criticism, be it others or your own. Let yourself laugh and find enjoyment in your life. If you would like to learn more click here. On Sunday I will be at The WI Hall, Kennington, Ashford Kent with Just YouMe Events giving Soul Plan Lite readings, find out more here. We’ve all seen it, that TV show that just wouldn’t stop or the movie with 20 sequels. Knowing when to stop and when something should end is a strength. This ability to know when to continue or stop is also pivotal to developing solutions. 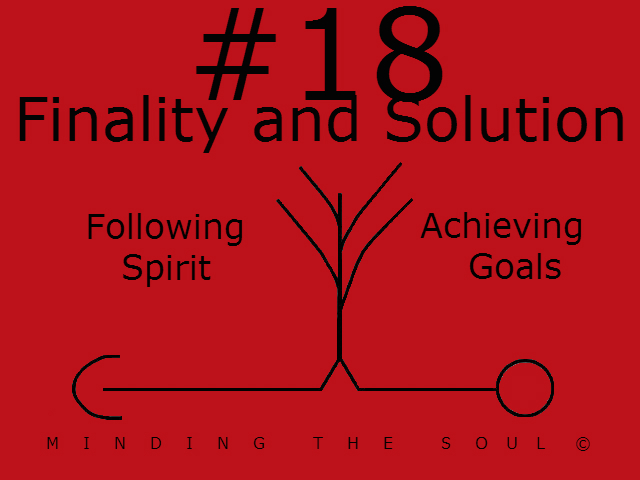 The 18th symbol of the Soul Plan is about achieving goals and following Spirit. A sense of finality and an awareness of time are essential in how we plan and achieve our goals. It can help us prioritise and establish the winning formula for what we have our heart set on. This is true of the physical world and especially true of the spiritual world. Our ability to visualise what we want and know how to achieve it are essential to achieving the spiritual aspirations we have whether they be to seek healing or expand our own consciousness If this appears in your Soul Plan you either have a talent for pursuing your goals or find this something hard to do. If this sounds like you a Soul Plan reading can help you learn how to overcome your challenge or help you focus your talent on your goals and Soul destiny. If you are curious, find out more here. This Sunday I will at Just YouMe Events’ afternoon at The WI Hall, Kennington, Ashford, Kent doing Soul Plan Lite readings. It would be lovely to see you. It would be our honour for you to attend out next event on the 26th May at The WI Hall, Faversham Road, Kennington, Ashford, Kent. Beginning at 2pm there will a range of treatments available such as Indian Head Massage, Reiki and Reflexology. There will be experienced readers offering personal readings from £10, nail technicians and stalls selling fair trade goods and jewelry to name but a few things. This year’s charity is The Pilgrims Hospice, we will be holding a raffle to support this worthy cause. Find more of our events here.